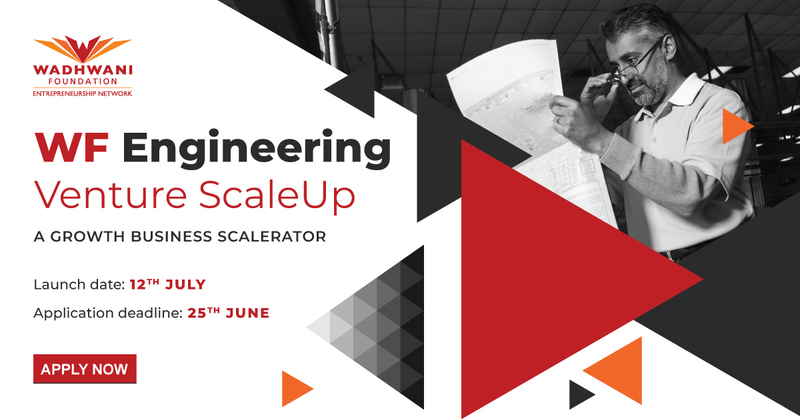 WF Engineering Venture ScaleUp, the first-of-its-kind three-month scalerator program in India, encourages, helps and motivates growth-oriented companies towards an accelerator growth path. Over three months, we’ll provide focused coaching and consulting on three growth levers of CUSTOMER (sales and marketing), CASH (financial management), and CAPACITY (business planning and organization performance). As part of the program, we’ll work with you individually to understand your challenges, requirements for growth and then help via brief workshops, 1:1 sessions with consultants, and by connecting you to the right advisors, industry leaders and customers. Our growth consultants and advisors will work with participating business owners one-on-one to help achieve growth with a focus on meeting immediate business goals. NPS from the earlier cohort was 9.83 on a scale of 10. The Wadhwani Foundation takes no equity and does not charge any fees from participating businesses. Also, 1:1 personalized sessions by consultants are independently available at a subsidized rate to the company business owner.